Today has been one that has been full of blessings. Do you ever set off to do one thing and then the muse takes you on an amazing journey. I was blessed with one of those today. I set off to the car boot market nearby with my camera thinking to photograph some vegetables and fruit for Mandarin Orange Monday tomorrow. Well what is normally half hour walk took nearly two hours. 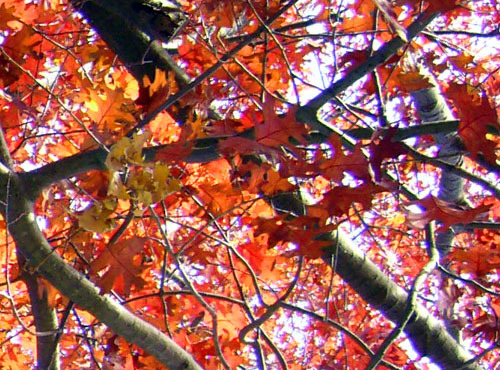 Its finally autumn here, leaves on the trees are slowly turning to reds and yellows. 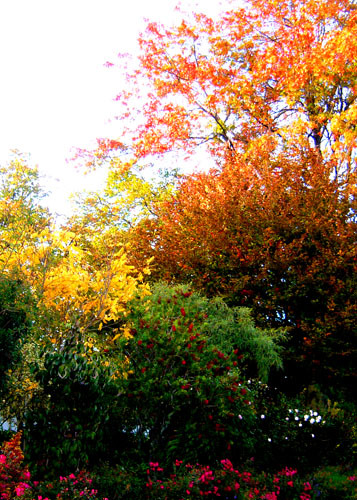 Nearly every house had trees that were resplendent in their autumn jerseys! I had to take photographs. I even collected leaves from the pavement. I was in a world of joy and wonder. Sketches, it turned into the watercolour above. The lace is actually a free brush I downloaded from Obsidian Dawn. It fits in with my theme on Lace for my exhibition. So I am excited about all the possibilities there. Then of course I could not help but fiddle with the painting in Painter then Photoshop. See below, as you can see I went a bit overboard on the new lace brushes! You would think that would be enough for one day wouldn’t you. After lunch I uploaded the photos from this morning onto the computer and I edited some. Here are a few. Then I had to get out my little watercolour pad and paint a watercolour. After all that I think I deserve a nice cup of tea or two sitting outside in the balmy autumn sun! Have a wonderful week creating lovely art, blessings to you all. Amazing Painting. You are really enjoying the season. Anyways, Here's my artwork for this week. 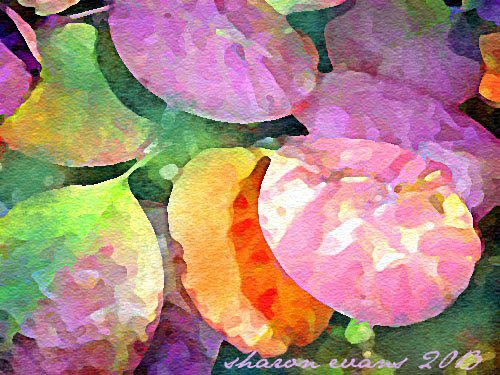 I love your art this week again Sharon - the watercolour of the leaves is stunning especially - wonderful colours. 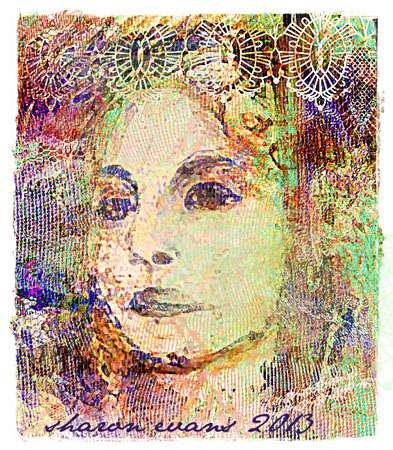 The lace effect on the portrait is brilliant for your theme. Gorgeous!! I adore autumn...it's spring here...but I love all the seasons Autumn being my favorite for the cool whether and turning leaves!! 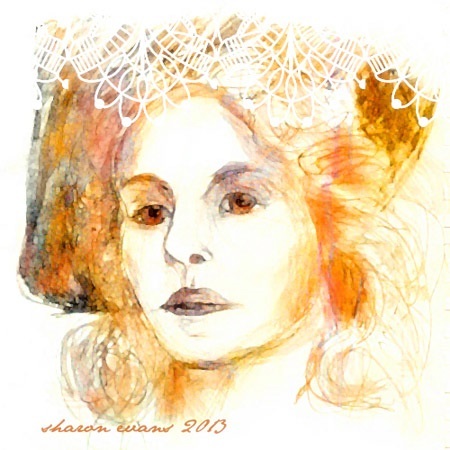 That water color is fabulous...and is the lady you painted...I love the first version best but admire all the experimenting you've been doing. I'm going to check out that brush! What beautiful colours ! 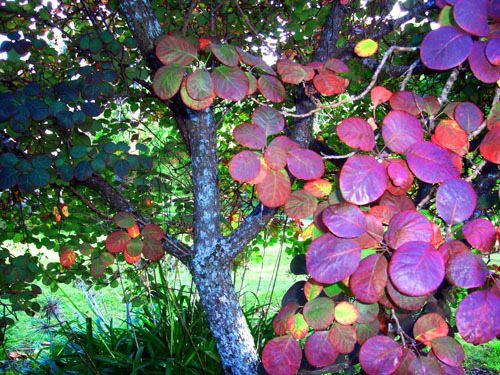 those circular burgundy leaves you painted are stunning, no idea what plant it is. Lovely watercolour! She's beautiful as are your other pieces! Someone loves fall! Happy SS. that lace brush is intriguing. Your watercolors are amazing! The portrait is perfect and I really love the layered and motley colored leaves. visiting from sunday sketches. Hello Sharon, so many lovely things to see here! Beautiful art work, so delicate and fine! There seems to be so much inspiring you, that's wonderful. It's Spring here at our side of the globe, so we are surrounded by bright luminous greens, still your Autumn colors look splendid, I love Autumn too very much! like the elegant sepia tones of this painting.. 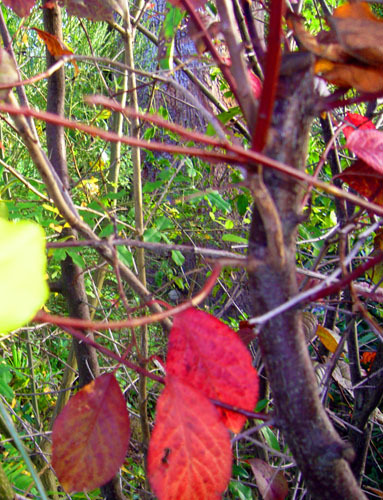 It is spring here still I love these fall leaves. Fall is my favorite season. Love your leaves painting.